Loveland, Colorado – The latest brew from Grimm Brothers Brewhouse is a Munich Helles Lager created by a friend and local homebrewer, Cy Bevenger. “Cy brought in his homebrew version of this beer to share. It was a wonderful example of what a Helles should be, and so it was decided that Cy should brew it with Grimm,” said Don Champan, Grimm’s Head Brewer. The beer, named Briar Rose in Grimm’s tradition of naming beers after fairy tales, is a clean, refreshing, malty light lager dominated by a grainy pilsner flavor — accompanied by a low, noble hop aroma. This light lager character and full flavor is perfect for hot Colorado summer days. Helles is pronounced “hell-us.” Hell is the German word for “light,” and Helles is a noun roughly meaning “a light one.” Unlike light lagers in the United States, Helles is light in color only. The inventor of Helles, the Spaten Brewery of Munich, shipped out the first cask of Helles on March 21, 1894. The beer was instantly a hit and the brewery began producing its Helles in mass. As always, Grimm makes release events a special occasion for beer enthusiasts. However this event isn’t just for the beer enthusiast. The Briar Rose release event will benefit the American Red Cross and those affected by the High Park fire. Release and tasting events are open to the public. 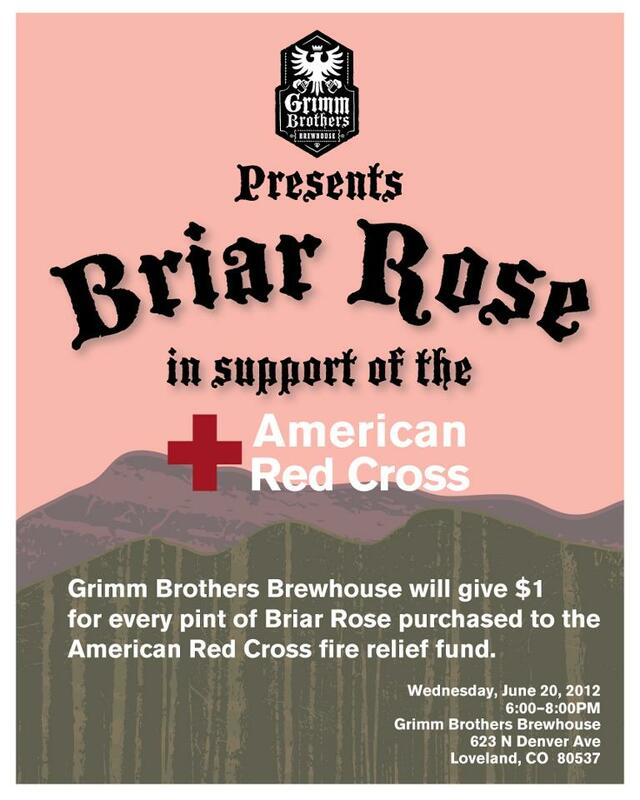 Briar Rose will be on tap beginning June 20 at 6:00 p.m.
- Grimm Brothers celebrates Spring with Maifest.